At Essentials Natural Family Health we are known leaders in the Omaha & Papillion Acupuncture communities. We have seen a tremendous amount of success with our acupuncture patients in many areas. Our approach is a combination of traditional oriental medicine and western acupuncture philosophies. If have any questions please read below for a complete description of acupuncture and our method with this great tool. Acupuncture is a method of encouraging the body to promote natural healing and to improve functioning. This is done by inserting needles at very precise acupuncture points. Usually not. As energy is redirected in the body, internal chemicals and hormones are stimulated and healing begins to take place. Occasionally the original symptoms worsen for a few days, or other general changes in appetite, sleep, bowel or urination patterns, or emotional state may be triggered. These should not cause concern, as they are simply indications that the acupuncture is starting to work. It is quite common with the first one or two treatments to have a sensation of deep relaxation or even mild disorientation immediately following the treatment. These pass within a short time and never require anything more than a bit of rest to overcome. Yes. In the past 2,000 years more people have been successfully treated with acupuncture than with all other health modalities combined. 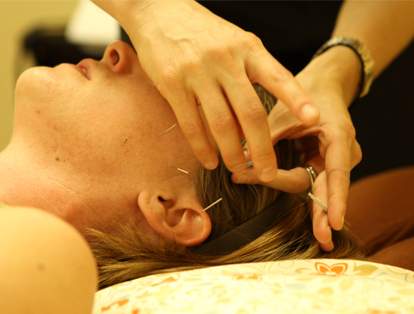 Today acupuncture is practiced widely in Asia, the Soviet Union, and in Europe. It is now being used more and more in America by patients and physicians. Acupuncture treatments can be given at the same time other techniques are being used, such as conventional Western medicine, osteopathic or chiropractic adjustments, and homeopathic or naturopathic prescriptions. It is important that your physician-acupuncturist know everything that you are doing, so he or she can help you get the most benefit from all your treatments. No. Acupuncture is used successfully on cats, dogs, horses and other animals. These animal patients do not understand or believe in the process that helps them get better. A positive attitude toward wellness may reinforce the effects of the treatment received, just as a negative attitude may hinder the effects of acupuncture or any other treatment. A neutral attitude ("I don't know if I really believe in this") will not block the treatment results. Do not over-exercise, or consume alcoholic beverages within 6 hours before or after the treatment. Some insurance companies currently cover acupuncture costs, other companies do not yet recognize the value of acupuncture. Each health policy must be reviewed to determine acupuncture benefits. More and more insurance companies are recognizing the value of providing coverage for medical acupuncture services. You can help by insisting that your insurance company offer you reimbursement for medically indicated acupuncture plans before you accept their policy.